The overarching aim of early permanence is to give children stability in their lives by avoiding repeat moves and broken attachments. Instead of placing the uncertainty on children, adult carers are asked to manage the risks and possibility of loss. 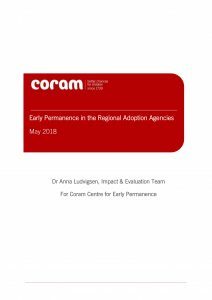 This research project, commissioned by the Early Permanence Expert Working Group, focuses on how early permanence features within the Regional Adoption Agency model. 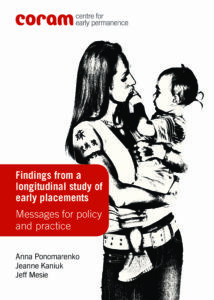 It explores the developments being made in this area of practice, the challenges faced and ways to overcome them. concurrent planning over such a long period. compared, where appropriate, to other wider studies. What is concurrent planning like? Listen to Coram concurrent carers discuss the scheme and what it meant to them and the children they adopted. A transcript for our film is provided here for accessibility. Reproduction by third parties is strictly forbidden. Please contact our Press Office with enquiries. Hear about the experiences of a couple who adopted their daughter through Concurrent Planning. Video courtesy of First4Adoption.